Is a tummy tuck worth the risk? I think so, but I was fortunate. I had a one with a lateral thigh lift and had no pain and no complications throughout my entire surgery and recovery. I attribute this in part, to good nutrition, good health and plenty of exercise before my operation. Of course, a good plastic surgeon doesn’t hurt either. Some of the biggest fears of having a tummy tuck result from hearing about all the horror stories, pain and complications and wondering whether you will die from the surgery. The possibility of excruciating pain, disfigurement and death can be quite a deterrent from pursuing one. This is a question that are foremost in your mind as you contemplate having the surgery. Fortunately, how safe your operation is depends largely upon you. Here are a few tips to increase your safety. Get smart on what a tummy tucks are, how they are performed and what you can expect. The smarter you are the better decisions you can make. Get healthy and fit before your surgery. In general, healthy people have less surgical and recovery complications. Do your research on choosing your tummy tuck plastic surgeon and operating facility. The best doctors do the best work. When contemplating your safety, this should be one of your biggest concerns. Tummy tuck is an elective cosmetic surgery, it’s your choice whether to have one or not. Don’t let unsubstantiated horror stories sway you from making an educated decision, or one that you will regret for the rest of your life. Don’t believe all the stories you read. Take individual horror stories with a grain of salt and a large grain of skepticism. Remember you don’t know anything about the person telling the story. Their situation may be totally different than yours. In preparation for my tummy tuck, I did some research on tummy tuck horror stories. I wanted to separate the myths from the reality. After talking with my surgeon and spending a few hours on the internet, a few things become very clear. You don’t know if the person telling the story is exaggerating or lying. You don’t know how long ago it happened and what specific surgical procedures were involved. Modern improvements in surgical techniques and equipment may now reduce of eliminate the problem from happening again. Stories may change each time a new person retells it. They could have gotten a “bad” doctor. Proper checking of your surgeons background, education and experience may have prevented it. Disaster stories make more headlines than ones with happy endings. If you read too many unsubstantiated “Tummy Tucks Gone Wrong” stories without knowing all of the facts, you might scare yourself out of something that may improve the quality of your life. Most of the “Bad Tummy Tuck” horror stories that I read involve additional surgery such as liposuction and breast enhancement. Ask yourself if the bad results were preventable and the result of something the patient did? Bad tummy tuck results happen quite often as a result of the patient not following the doctors instructions. After searching Google and Yahoo for a few hours, I was surprised that I did not find as many tummy tuck horror stories as one would expect, considering the vast number of surgeries performed each year. I have listed those that I found in abbreviated format as follows. The phrase “Tummy Tucks Gone Wrong” is just a catchy way of saying there was a problem with the abdominoplasty surgery. Usually it refers to disasters and major problems such as death or disfigurement but those are extremely rare occurrences. Tummy Tucks are performed all the time and many end in happy stories with patients who are more than satisfied with the results. For me, since I had no pain at all throughout the entire surgery and recovery as well as no complications, I look back on it as “an interesting and educational experience” that gave me a better quality of life. You can spend your time finding the best plastic surgeon, the best facility, follow all the doctors instructions to the letter and be in perfect health but you may still come out with complications. You must eventually take a leap of faith if you decide to proceed with the surgery. It all depends upon how badly you want it. According to the American Society for Aesthetic Plastic Surgery (ASAPS), it was one of the top five surgical cosmetic procedures in 2005 with 169,314 procedures performed, up 12 percent from 2004. No surgery is without risk. Ask your surgeon to explain all of the side effects and possible risks prior to surgery. How Many People Die From A Tummy Tuck? “The greatest risk for people undergoing elective surgery derives from the anesthesia, which is estimated to kill 1 in 10,000 to 100,000 people. “My surgeon told me that approximately one in 5000 people die from going under anesthesia. 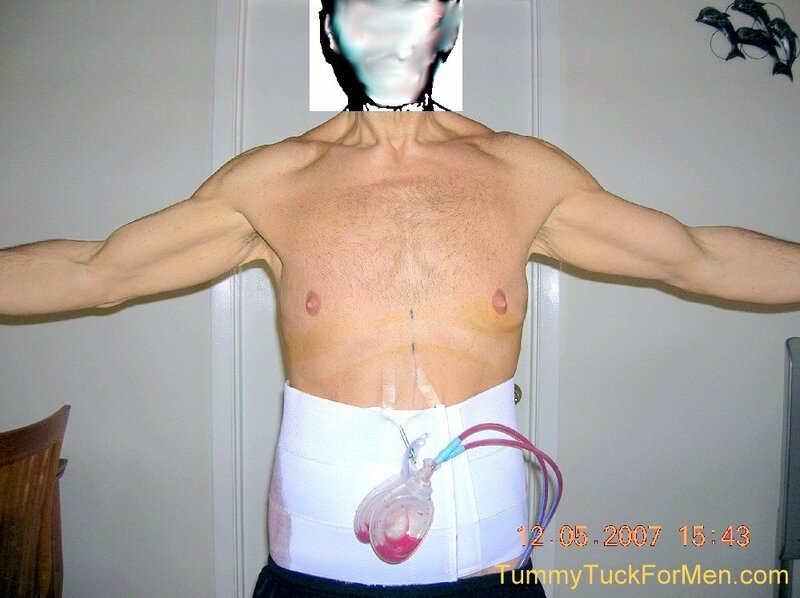 I found one website that indicated a tummy tuck death rate of 1:2324 (.04 percent). But this was found on a website that promotes liposuction rather than tummy tucks and may be a little bit biased. Related. 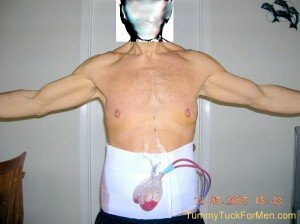 I found one website that gave a tummy tuck death rate of 20 per 100,000 death rate for liposuction in the 1990’s. I would think that new techniques and medical practices would have improved on this rate. I had a wonderful friend who unfortunately died on a flight san juan puerto rico i would really love to hear that airlines would have some type of medical training or at least make sure someone on board could be able to save someone’s life save a life give some emts or rns free flights a life costs more than a ticket no matter where the destination might be R I P SOL WE LOVE AND MISS U DEARLY! Response – Marylou, Sorry to hear about your friend, but this web page deals only with complications, bad experiences and deaths associated with the surgery. Hi, thanks so much for responding back to me, because I’ve been on a few different sites and have e-mailed questions and gotten no response. So, I was told by my surgeon that if my stomach appears distended and sticking out gradually over time, not overnight then that is how I would know if my stomach/abdominal area is still carrying fluid and it’s building up. So far the stomach area looks to be normal, however, embarrassing as it is to say, it looks as if my pubic area is possibly distended because when I look in the mirror at my side profile it seems to be noticeably sticking out more than it should, my sister though says it is probably just still swollen and it should be fine, but I am not sure, so anyway just wondering if you have heard of anyone getting their pubic area drained after this surgery?? Also, in regards to your comment on the needles being stuck in me to drain the excess fluid if necessary, well yes I would definitely look the other way, but unfortunately my numbness is wearing off slowly but surely so I am thinking by the time I go in for any draining it will be hurting, so I guess I will just take a pain pill before hand just in case and have someone drive me to the appointment. I must say you are very lucky and blessed to have had such a great recovery and especially a pain free recovery, because I can honestly say this is the most pain I have endured in my entire life and it is the worst decision I have made in my entire life as of right now. This has been a horrendous and horrible experience for me personally so I am just praying every day that after a month now of recovery that I will soon be feeling normal again. I have the unfortunate experience of dealing with my incision opening up last week on June 7, 2010 which was over 3 weeks after my surgery, it opened up not too much a few inches or so right where my belly button is at, so I have to get it packed with gauze dipped in peroxide twice a day, my sister bless her heart has been doing that for me, so this has been a horrible experience for me, so I am glad you had a great experience with this surgery because I sure didn’t. Response – I would vote with you sister on “still swollen and should be fine”. I have not heard of anyone getting their pubic area drained after this type of surgery. SWELLING IN THE GROIN AREA. At one of my pre TT meetings, the nurse make a brief comment that there may be some swelling in the lower areas (I forget how she actually put it) but I gave it no thought. I didn’t know how “low” she meant. Now I do. Apparently the body fluids that were not drained off by the surgical drains made their way “downhill” towards the groin area causing noticeable swelling down there. An amusing thought came to me – “I paid $11,000 for a Tummy Tuck and got a “male enhancement” thrown in for free. Unfortunately it only lasted a month, then the swelling went down and everything was “back to normal”. Reply – Ok, what a relief that is to hear!! Thanks again so much Tanner for responding back to me. Have a great day and enjoy the rest of the Summer! I had my right JP drainage tube taken out on Monday June 7, 2010 and my doctor was very upset with me because he thinks it was too soon to have it taken out (the medical assistant took it out that day and he wasn’t in the office) he is afraid as well as I am that the fluid will build up and I will have to get needles stuck in me to get the remaining fluid drained. Is there any way I can just drink a ton of water every day and keep up with exercise and have the remaining fluid flush itself out without having any problems with the fluid building up inside me? I had the drainage tube on the right side in me for two days short of 4 weeks so the medical assistant thinks it was ok for it to be removed but I am still scared to death that it was too soon to be taken out. I had a tummy tuck. Response – The doctor shouldn’t be upset with you, if anyone, he should be upset with the medical assistant who took it out. I don’t know, but I would doubt that drinking lots of water and exercising would do what you want in a timely manner or your doctor would have instructed you so. It sounds like you don’t relish the idea getting stuck with needles to remove the remaining fluid from your body. I had it done and it is not as bad as it sounds. I documented my experience with the needle on this page (ref date 12/19/07). The good thing about this is that the area where he will probably stick the needle is still very numb. When he did it to me I did not feel anything. No pain at all. If you have a fear of needles, I would suggest when you go to your appointment tell the doctor that you don’t want to see the needle and be sure to turn your head away when he brings it out. Most likely the fear of the needle (the worrying) is going to cause you more pain than the needle itself. I would try to schedule your next appointment as soon as possible just to get it over with. The less you think about it the better. Good luck. I need a tummy tuck…..NEED, a tummy tuck. I don’t care about the risks. If I die it would be better than living the rest of my life like this. every time I bend or squat my underwear and pants slip down to expose my underwear and my shirts ride up. I hate what this is doing to my family and me. Response – Before I had my tummy tuck I spent hours on the internet trying to find out what the official statistics were for deaths and complications associated with tummy tuck surgery. I didn’t have much luck. I even asked my plastic surgeon about it, but he could not (or would not) give me a clear cut answer. He basically told me the same thing as I wrote in Complications and Risks. From what I understand, one of the biggest risks associated with an abdominoplasty or from any type of serious surgery is from the anesthesia. The LA Times had a good article on it. It can be found here. Burst Aorta? Out of curiosity I did a quick search for “aorta” & “tummy tuck” and did not find much. This indicates to me that it isn’t much of a concern to the average healthy individual having a tummy tuck or there would be loads written about it. Your doctor or surgeon can best answer your concerns about bursting your aorta. If you haven’t done so already, why not find a good plastic surgeon and go for a tummy tuck consultation? The consultation is fairly inexpensive or free and you can get reliable first hand answers to all of your questions and to put you at ease. Be sure to find a Good Plastic Surgeon.